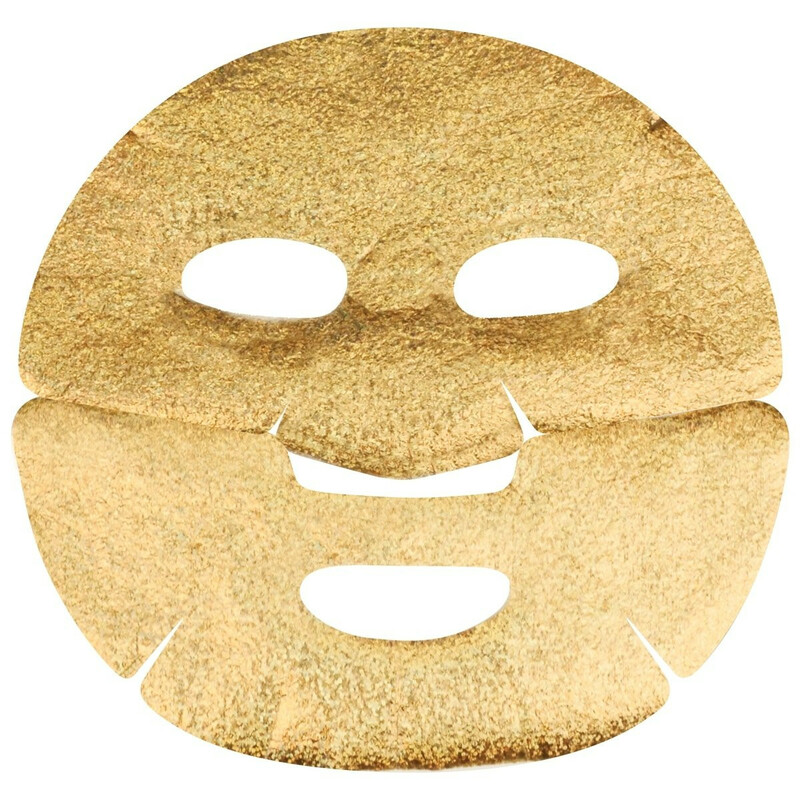 Set of 6 limited-edition MASK-querade Gold Confetti Soothing Sheet Masks that intensely hydrate and brighten skin’s appearance for visibly plumper-looking skin. What better way to celebrate PÜR's sweet 16 brand anniversary than with a masquerade! This premium, limited-edition, clean MASK-querade Gold Confetti Soothing Sheet Mask set instantly hydrates to awaken and brighten skin’s appearance for a healthier, youthful-looking complexion that glows. Saturated with ingredients rich in antioxidants, like Blueberry Fruit Extract, this luxurious gold face mask set of 6 helps reduce the signs of aging. Soothing ingredients such as Aloe, Vitamin E and PÜR’s Energy Complex, consisting of green tea and ginseng, deliver nutrients to reduce the appearance of redness due to dull, dry skin. The premium ingredients in the MASK-querade face masks seamlessly soak into tired skin to help rejuvenate and boost radiance for a complexion that shines. Each of the 6 transforming individual sheet masks feature a one-of-a-kind, two-piece, gold design to deliver the hydrating serum to the top and bottom of the face equally for visibly brighter and plumper-looking skin in just 15 minutes. Gently massage MASK-querade pouch prior to application to evenly distribute the serum onto the mask. Remove the plastic mitt from the top and bottom of the 2-piece sheet mask and apply to clean, dry skin. Place the first sheet onto the forehead, eye and nose area. Gently place the second sheet around the mouth, cheeks, and chin. Use your fingertips to secure the soothing sheet mask in place. Leave on skin for 15-20 minutes. Remove sheet mask and pat excess serum into the face for absorption. Follow with your favorite serums and moisturizers. 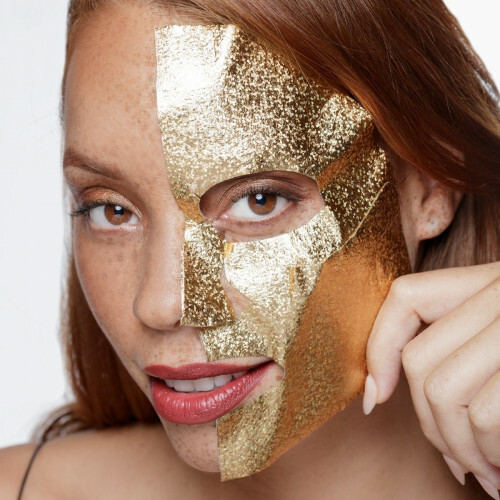 After removing the gold, two-piece MASK-querade Gold Confetti sheet mask, use the leftover serum in the pouch to hydrate the face, neck, décolleté and back of hands.